I have been so fortunate to meet so many great and innovative people, through use of the iPad. Don Lee from Nomad Brush had interviewed me and my thoughts about the iPad and tools. I am looking forward to meeting Don Lee at Macworld January 28th. Today, we interview an award-winning artist, Janet Vanderhoof. Janet is a self-defined military brat who is native to Frankfurt, Germany and now resides in rural Northern California. Being surrounded by nature in her home’s rural setting is a constant inspiration for her landscape painting. She prefers to work with oils and acrylics and calls her work “Modern Impressionism.” Her work is currently being published by Artaissance, a Berkshire Hathaway Company, and can be seen in numerous galleries. 1. Tell us a little about yourself- where are you from, and what is your background experience with traditional and digital art creation? I was born in Germany. My father was in the military and was stationed in various parts of the U.S., with the last place being Moffet Field. My father was one of the first people to work in what is now called Silcon Valley for Sylvania. I guess that is where my love came from for innovation and technology; although, I have no background in digital art. I am a traditional artist and a published artist with many years of experience. It wasn’t until my husband purchased an iPad for me, that I had any desire to create digital art. 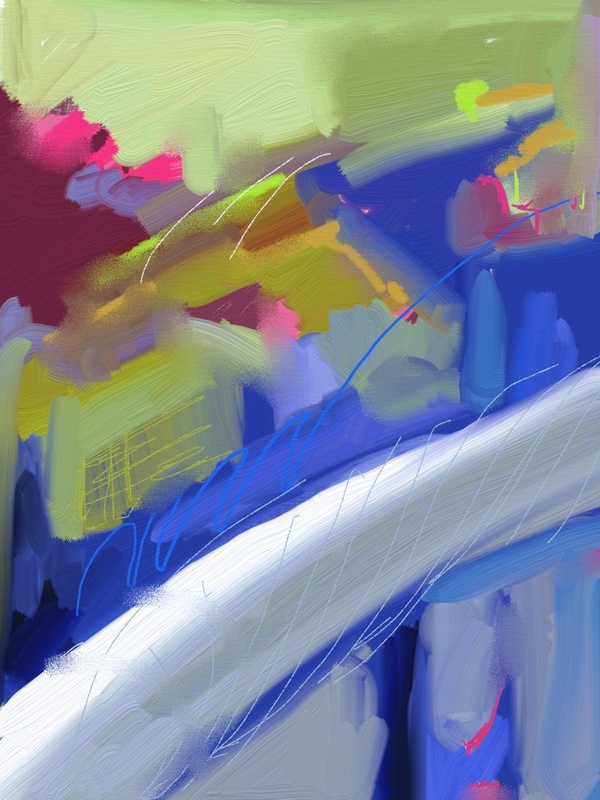 I am a painter and not really fond of the drawing aspect, yet the iPad opened me to creating in ways that I never had experienced before. 2. 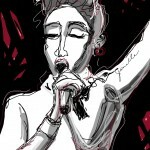 What are some of your favorite art blogs/sites to follow? I have done quite a bit of research, trying to locate that perfect stylus and application for drawing. I originally was using the BoxWave Stylus, but right now my favorite tool is the Nomad Brush for its flexibility and control. 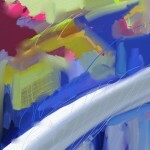 I love the Brushes and ArtRage application. Brushes has the wonderful playback feature and ArtRage gives you so many options, being able to use different mediums to create, such as watercolor, pastel, and oil. 3. When did you first discover/experience the Nomad Brush? What was it like? I discovered the Nomad Brush through Don Lee on Twitter. Don was a guest blogger on my site and gave me a brush to try out. I fell in love with it and purchased 4 more brushes (some for gifts). As soon as the iPad came out, I knew that a brush would be a great idea. Also, I knew it was a matter of time before someone would invent it. For some reason, the iPad came out before the tools were invented: “Necessity is the mother of invention.” I kept my eye out for the latest tools. I have experienced another brush stylus, but didn’t compare to the Nomad. The Nomad actually gives you the feeling of a real brush. It shows the strokes. Also, the brush has enough stiffness to enhance and control each stroke. It is beautifully crafted, a fine tool with great value. No, I have never been to Macworld before so do not know what to expect. 5. The agenda is packed with so much! What are you most looking forward to? Actually, I am looking forward to the new iPad and other ways to create digital art. I am hoping that they will invent an iPad that is touch sensitive. Also, I have a son with Down Syndrome, so I will be exploring new applications for learning. If you would like to learn more about Janet Vanderoof, please be sure to check out her website and follow her on her blog & Twitter. Thanks again, Janet! We look forward to seeing you all at the Macworld | iWorld Conference. Great interview, Janet. I have the IPad 1 and am looking forward to the 3. 🙂 The way you describe creating your art on the IPad makes me want to get a Nomad brush and download the software. The only problem is that I’m not an artist! 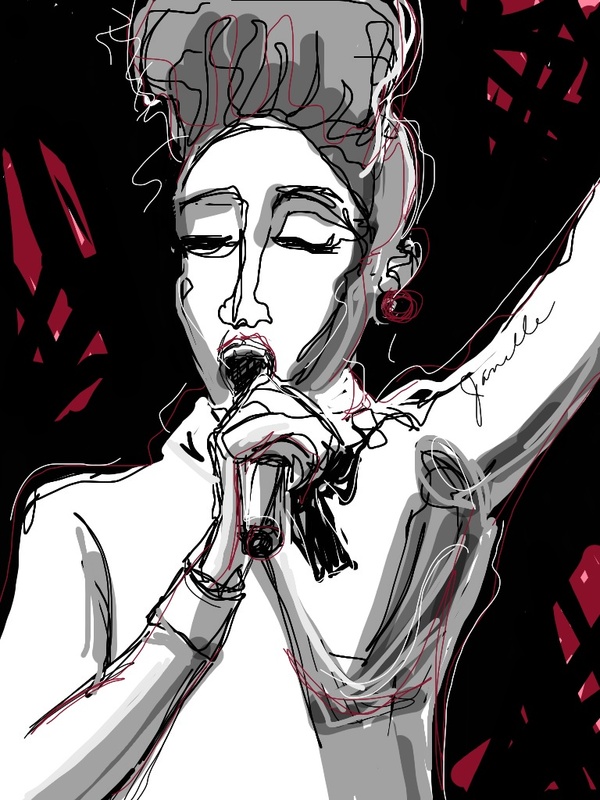 Cheryl, well anyone who can pick up a banjo and start to play, could probably pick up an iPad and start drawing. Thanks Cheryl!